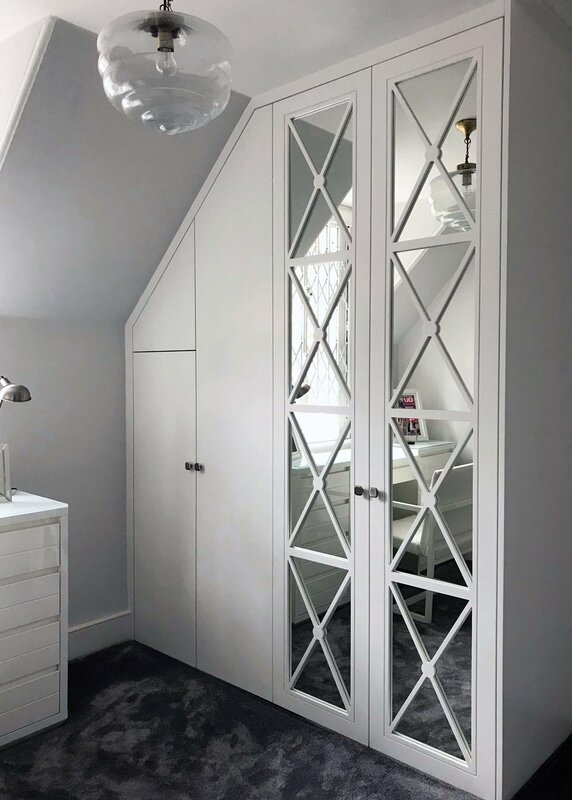 Our client had a clear idea of the look she wanted for her bedroom and our Castille door in Graphite matt lacquer with silver mirror panel inserts fitted perfectly with her vision. 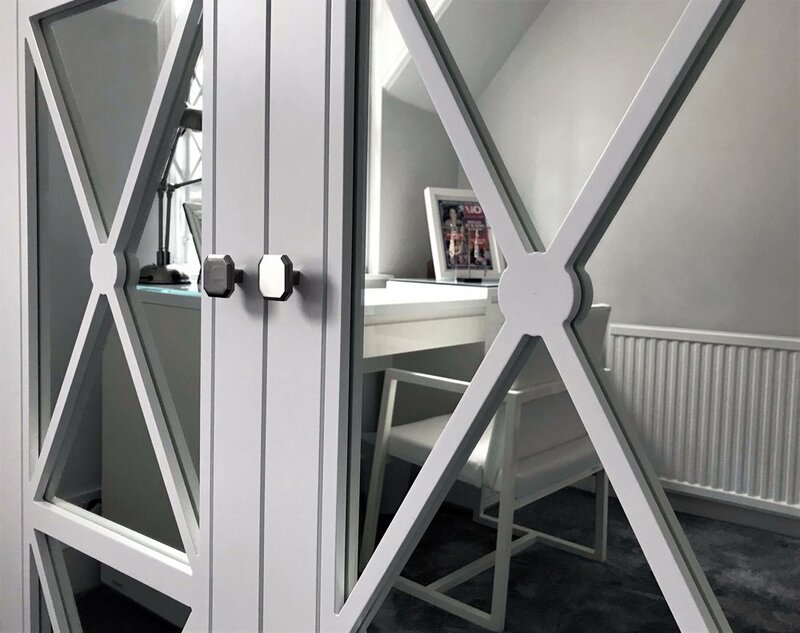 She also chose our grey linen internal and Corbusier brushed aluminium handle which worked very well with the overall room colour scheme. 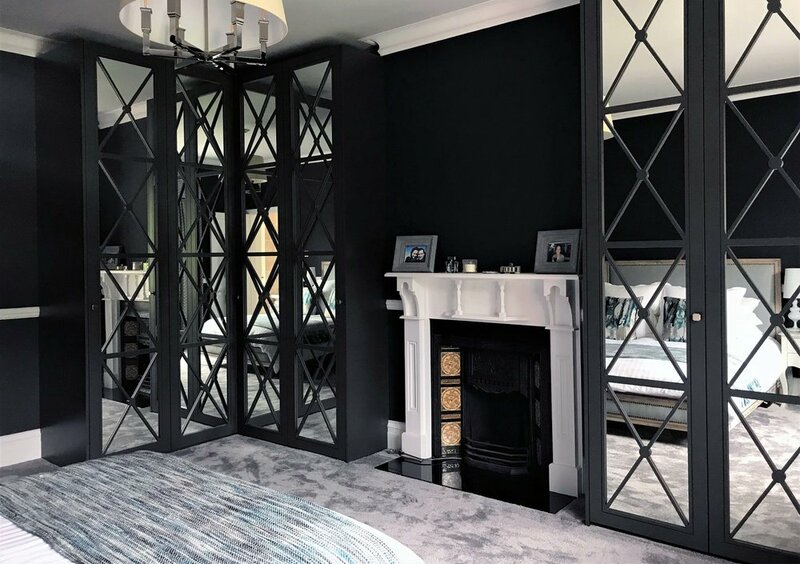 The two units were installed either side of the traditional fireplace and it was decided that they would finish just below the feature coving and not go to the ceiling. 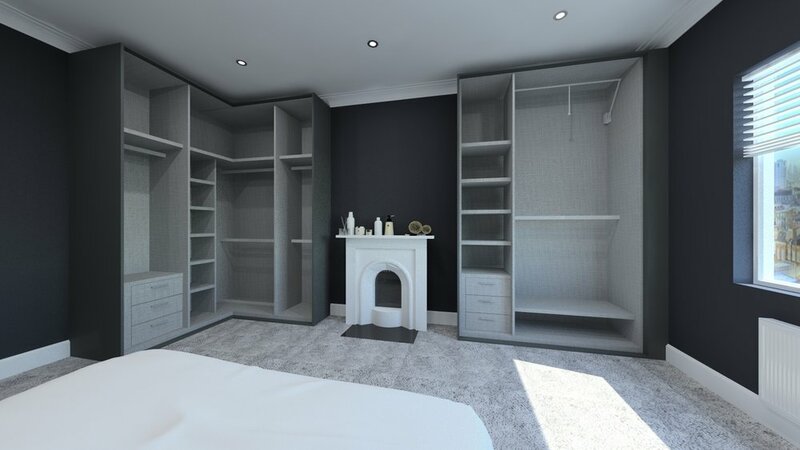 To make the most of the lovely tall ceilings a pull-down rail was included as an accessory - every mm of the corner section was utilized using our hanging and reduced depth shelving system. 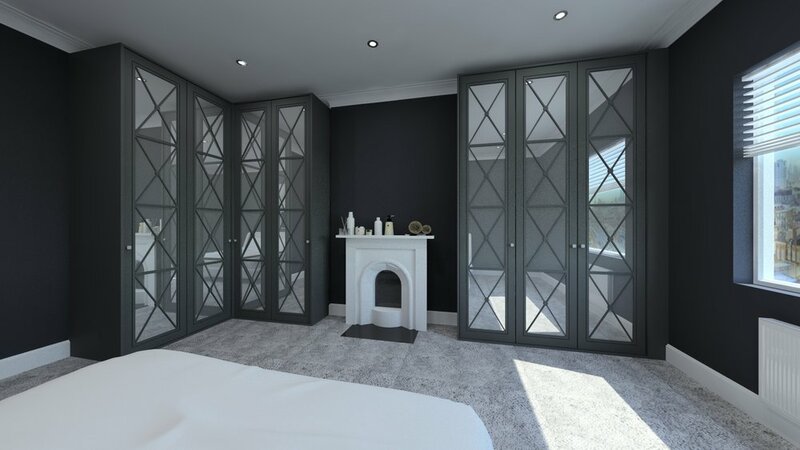 The result is a beautiful and opulent wardrobe and bedroom!